Polydist UK is proud to introduce SABIC’s Specialties products to their current portfolio of polymer resins. The products include the well-known SABIC brands NORYLTM resins, ULTEMTM resins and LNP™ compounds, co-polymer polycarbonate grades, and flame retardant grades of the resin brands LEXANTM, CYCOLOYTM and VALOXTM. The company became an official UK distributor for SABIC’s Specialties products range on 10th August 2018. Polydist and SABIC have developed a strong and successful relationship since the signing of their first distribution agreement in 2015 covering SABIC LDPE and LLDPE materials from the Wilton, Geleen and Gelsenkirchen plants. A Polydist product support team is available on their hotline number: 01283 345123 for all inquiries. 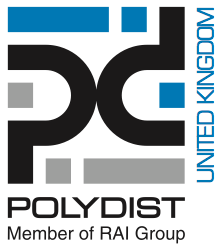 Alternatively, they can be contacted at sabicinfo@polydistuk.com or via Polydist’s live chat feature on their website 9am – 5pm, Monday – Friday.